Dapper French dude Danton Eeprom provides his debut album, combining disco, techno and rock musics for Infiné. 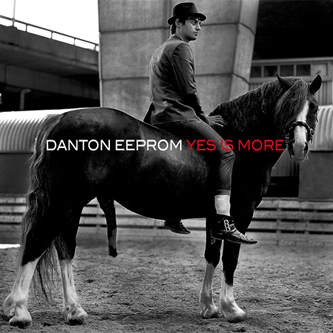 'Yes Is More' collects a pair of previous singles including the terrific dancefloor saga 'Confessions Of An English Opium Eater' and 'Give Me Pain' with ten new tracks, ranging from the glam-rockish stomp of 'Thanks For Nothing' to funked tech-house minimalism like 'Stilettos Rising', and pop-informed contemporary house like 'The Feminine Man' feat vocals from Chloe and crimped French disco on 'Lost In Music' feat. Erika Forster. Eeprom's productions stand far out from the minimal masses with which he mingles and should be prescribed to any connoisseurs seeking the more glamorous side of the 'floor.